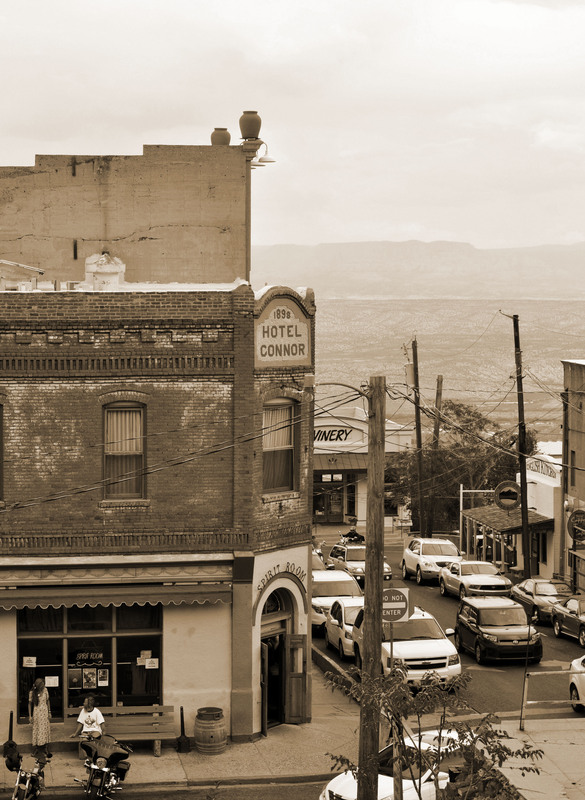 A couple of weeks ago, another friend and I decided we desperately needed a break from the Phoenix heat, so we made the short drive up to Jerome, Arizona. Jerome is located about 90 minutes north (and slightly west) of Arizona. The picturesque little town is built rather precariously up the side of Cleopatra Hill. If you approach the town from the south along 89A, you have the advantage of climbing up to the city (at over 5,000 feet above sea level) along 12 of the most precarious switch-back miles you could ever hope to find. It’s certainly not for the faint of heart (or those who suffer from car sickness). This little section of road does, however, make Jerome super popular with bikers (smile). Jerome’s downtown area sports a wide array of cute little shops, including the largest kaleidoscope shop in the country! These amazing creations run the gamut from the plastic toys we all loved as kids to those costing (literally) more than I make in a year. Luckily, looking is encouraged, so I was able to get my fix without really breaking the bank (or any kaleidoscopes)! There are also a couple of historic hotels you can choose to lodge at (on the must do list) and an impressive selection of restaurants – including the Haunted Hamburger. This yummy location is a must stop, at least for a drink and a story (or two – smile). There’s also Cellar 433 which offers an excellent opportunity to sample some local Arizona wines – it also offers one of the best views of the valley below. Wine and awe – double win! The stores have plenty of fun, unique items to peruse. The Jerome State Historic Park is just down the road from the main shopping area, and well worth a visit if you have the time. 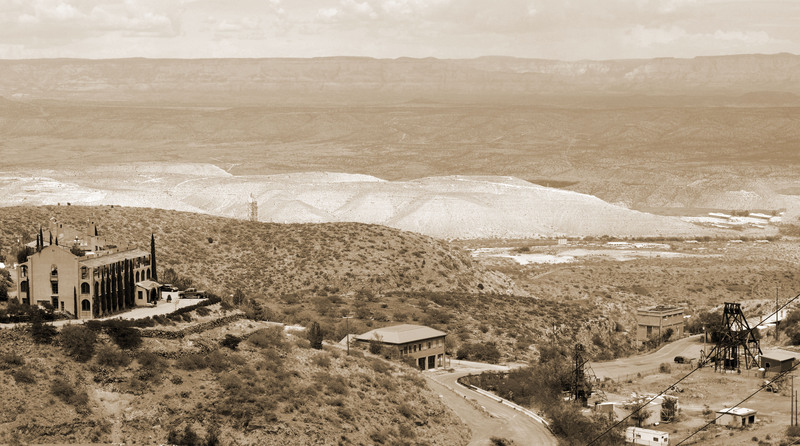 The Douglas Mansion, built in 1916, now houses a museum devoted to the history of Jerome area and the Douglas family. The views from the museum are absolutely breathtaking! Right next door is the Audrey Shaft Headframe Park where visitors can stand on glass above a 1,900 foot shaft. The shaft is 650 feet taller than the highest point of the Empire State Building! It is also the largest wooden headframe still standing in Arizona. Unfortunately, this was closed the day we went (sad face), but an excellent reason for a return visit (smile)! My friend and I had a wonderful day frolicking in the cooler air and sampling the local cuisine/wine. It was the perfect Phoenix escape and a town I highly recommend. I love Sedona (which is about 40 miles further north), but Jerome has certainly given me something to think about. It’s much quieter (except on bike week I’m told) and there’s something a little spooky about the town (and not just the Haunted Hamburger). I can’t wait to venture back!